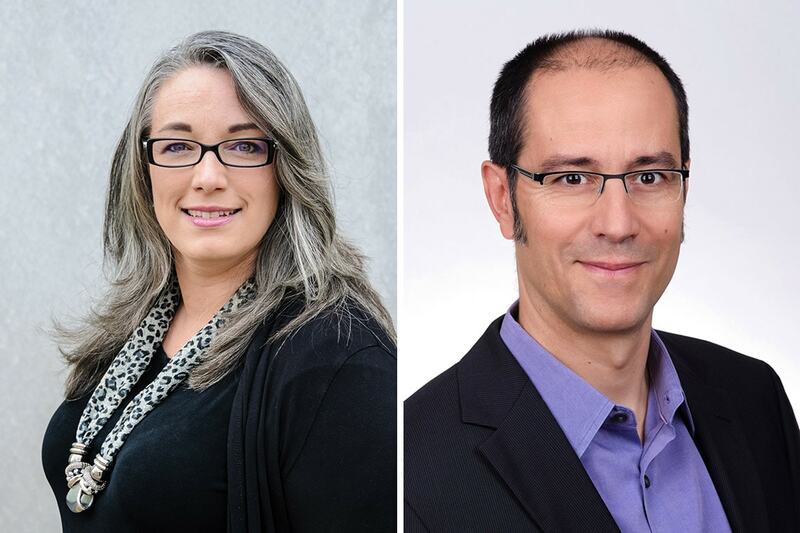 Two researchers – one a leading psychologist studying memory and another investigating the molecular mechanisms that control early embryonic development – will be joining the University of Toronto, bringing top international talent to the country as Canada 150 Research Chairs. Federal Science Minister Kirsty Duncan announced the first four Canada 150 Research Chairs in Ottawa on Wednesday. The one-time, $117-million program to help universities recruit top internationally based research talent to Canada was unveiled in the 2017 federal budget in celebration of Canada’s 150th anniversary. The government hopes the chairs – more than 25 to be hired eventually -- will provide an opportunity to enhance the country's reputation as a global centre for science, research and innovation excellence. Psychology researcher Donna Rose Addis, who is of Samoan descent, has focused her work on memory, imagination, aging and depression. She earned her PhD at U of T and did her post-doctoral research at Harvard before joining the University of Auckland. She returns to U of T, in the Faculty of Arts & Science's department of psychology, and Baycrest Health Sciences as the Canada 150 Research Chair in Cognitive Neuroscience of Memory and Aging. Miguel Ramalho-Santos, who is originally from Portugal, spent the last two decades in the U.S. studying molecular mechanisms in early embryonic development, looking at the interaction of the environment with genes. He will join U of T's Faculty of Medicine and the Lunenfeld-Tanenbaum Research Institute in the Sinai Health System as the Canada 150 Research Chair in Developmental Epigenetics. “We look forward to seeing what you do over the next seven years,” Duncan said. The two U of T affiliated researchers will each receive $350,000 per year for the next seven years. Addis explores neuroimaging, behavioural and neuropsychological methods to investigate how the brain remembers past experiences. She’ll be using advance brain imaging technology available at Baycrest to better understand how our sense of memory, imagination and identity changes as we age and how that differs across cultures. The recipient of New Zealand’s prestigious Prime Minister’s Emerging Scientist Prize, Addis has been a role model for Indigenous scientists in her country. At the announcement on Wednesday, she began by acknowledging her Samoan heritage. Ramalho-Santos, whose wife is Canadian, comes from the University of California San Francisco where he has been investigating the environment and genome interaction at the molecular and cellular basis during the critical prenatal period, which he has found can later determine which individuals are prone to cardiovascular disease, obesity or neurological diseases as they age. “It’s a tremendous honour and also great responsibility that I look forward to taking on,” he said. “We used to think that all the information to generate in an organism including in a human being is encoded in the genome. It turns out that environmental factors provide critical inputs at those periods in development when the baby is forming that are absolutely essential for health and for disease. The announcement this week comes on the heels of U of T also receiving two of 11 new positions for the Canada Excellence Research Chairs. Announced on Dec. 8, the excellence research chairs were the third such announcement since 2008. U of T will be getting two chairs – one in the Gravity of Fundamental Astrophysics Research and another in Cardiac Regeneration -- each offering up to $10 million over the next seven years. U of T now has to recruit and identify researchers for the second phase of the award, which also has a matching requirement.